Regular maintenance of your septic system is the best way to avoid expensive repairs and replacements. Not to mention, it is the easiest way to avoid messy back-ups, leaks, and clogs, a potential disaster for a homeowner. Residential septic tanks should be cleaned every 3 to 5 years to keep yoursystem running properly. Taylor's has over 4o years experience cleaning septic tanks in the tri-state area. For a fraction of the cost of a repair or replacement, Taylor's can empty your tank in a clean, professional, and timely manner. Credit cards accepted. Taylor's makes heavy duty, reinforced-concrete septic tanks in three sizes. A 500 gallon single-compartment	tank, a 1000 gallon tank, which is available with a single- or double-compartment, and a 1500 gallon tank,	which is available with a single- or double-compartment. 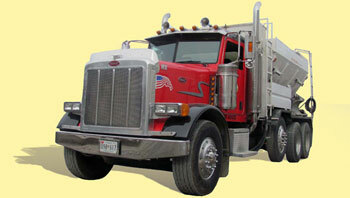 When you purchase a septic tank, we will	deliver it for free(inside a 20 mile radius). Installing a riser onto a new or existing septic tank eliminates the need to dig down to the lid of your tank for routine maintenance. A riser can be placed over the hole in the lid of your tank and capped off at ground level so when your tank needs cleaned, you just open the top of the riser and keep the shovel in the shed. Taylor's most popular riser is double-wall corrugated pipe cut to length, and is available in 12", 15", 18", 24",	and 30". Durable, reinforced-concrete lids are made onsite for each of the sizes. Taylor's also sells 24" concrete risers, as well as 24" Poly-Lock risers, available in 6" and 12" sections. Taylor's stocks a wide selection of pipe and fittings. We carry schedule 40, S&D(solid and 3-hole), foam-core, and corrugated(solid and slotted). We also stock a variety of fittings including, bends, tees, wyes, caps, couplers and adapters. Available sizes range from 1/2" to 6".